Hi everyone, Christine here today. One of my 2017 resolutions is planning. 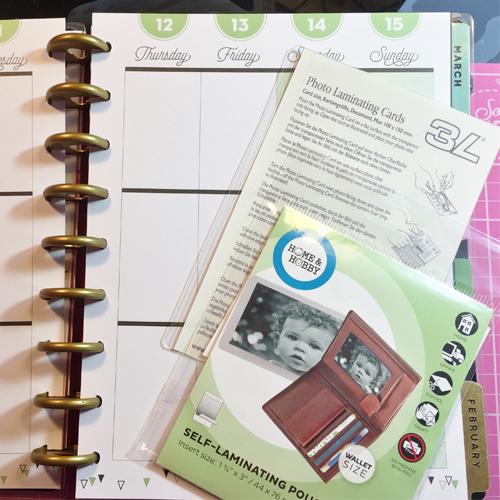 I want to keep a planner using the Self-Laminating Pouches as part of my “plan.” The planner market in the US is huge but it has taken a while for it to hit our shores in the UK. Mine will be a special place to store keepsakes, quotes and photos (a portable scrapbook! ), so it had me thinking – the Self-Laminating Pouches, so ideal! I selected a photo that goes well with my quote. 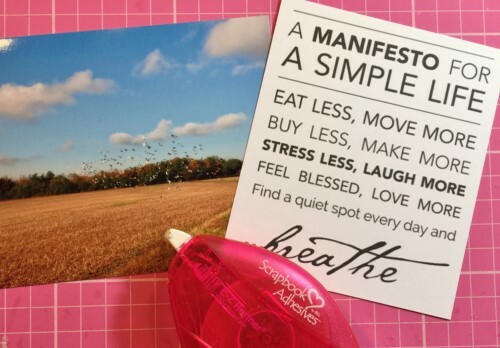 I placed the quote to the back of photo using E-Z Runner® Permanent Strips Refillable. NOTE: Dispenser is refillable to match ANY of the other E-Z Runner® adhesive refills – they are all interchangeable. LOVE! 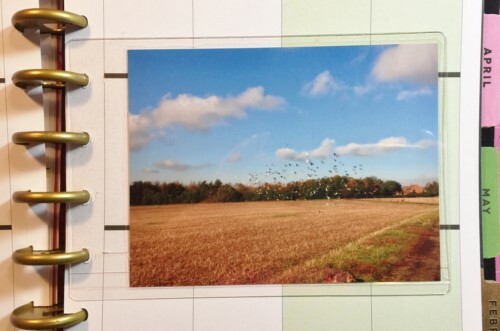 Next I aligned my photo to the right so it leaves the perfect amount of space to hole punch to fit into my planner. I then realised the Self-Laminating Pouch Wallet size would work too, so I resized my quote to print and popped that inside a pouch. 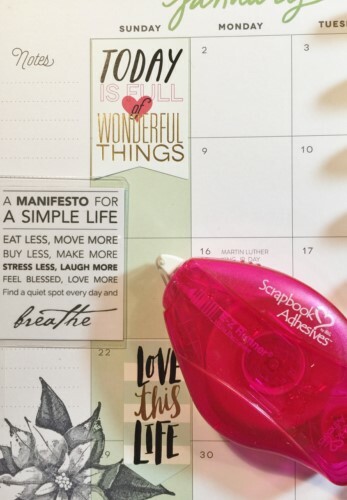 Then I placed into my planner with E-Z Runner® Permanent Strips Refillable. Another way to decorate a planner is to use washi tape for a beautiful accent. 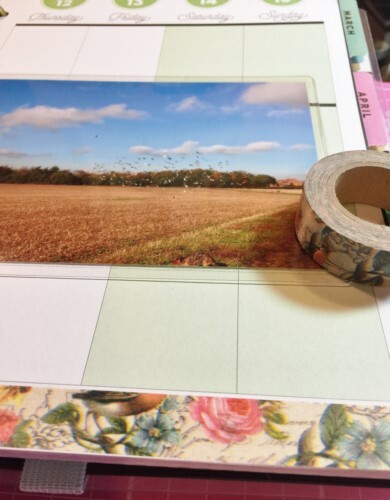 I can see that I’m going to be using a lot of Self-Laminating Pouches and washi tape in my planner. Thank you for joining me today and please remember to check out the brilliant products listed below with their links. This entry was posted in Adhesives, Crafts & Tutorials, E-Z Runner® Dispensers, Embellishments, HomeHobby by 3L, Mini Albums, Mixed Media, Permanent Adhesive, Planners, Scrapbooking, Self-Laminating Cards, Tutorial and tagged Calendar, Christine Emberson, E-Z Dots Permanent Refillable, HomeHobby by 3L, Planner, Self-Laminating Pouch Medium, Self-Laminating Pouch Wallet, Video Tutorial. Bookmark the permalink. One Response to "Easy Planning with Self-Laminating Pouches and Tissue Tape"